Here is Some Information about Morgaon Ganesha Temple in Pune Maharashtra India. Morgaon Ganesha Temple is situated on the banks of river Karha comes in Baramati Taluka, in district Pune. 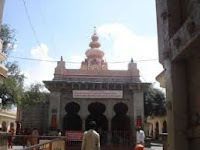 It is said that shape of this place is like a peacock and once upon a time the place was full of peacocks that it was named Morgaon .The temple is the starting and ending point of a pilgrimage of eight revered Ganesha temples called Ashtavinayaka. 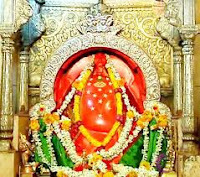 Morgaon is the foremost centre of worship of the Ganapatya sect, which considers Ganesha as the Supreme Being. A Hindu legend relates the temple to killing of the demon Sindhu by Ganesha. The exact date of building of the temple is unknown, though the Ganapatya saint Morya Gosavi is known to be associated with it. The temple flourished due to the patronage of the Peshwa rulers and descendants of Morya Gosavi. There are eight idols of Ganesha, which are the incarnations of the Lord, are placed on the eight corners of the temple is very peculiar and attractive. Another attractive feature here is the tall black statue of ‘Nandi’, the bull. As per the Hindu mythology, the statue was being transported from a nearby Shiva temple. But as soon as it reached the present place, it couldn’t be removed from there. The temple is surrounded by a tall stone boundary wall with minarets at each of the four corners, suggesting a Muslim influence on the architecture. The temple complex comprises of a dome , surrounded by a 50 feet high enclosure and decked with four pillars in each corners. It portrays from afar an imagination of a mosque.The main temple is made up of black stone. The temple constructed during Bahamani regime was built in typical Moghul style by Mr. Gole, a hindu officer in the court of patshah. The temple has four gates. In the eastern gate is Lakshminarayana, giver of Dharma. In the southern gate are Parvati and Shankar givers of Artha. Then comes western gate where Rati and Kama resides. Lastly in the northern gate reside, Mahivaraha ( Earth and Sun). In the temple complex there are trees of Shami, Mandar & Tarati. The tree of Tarati is also called as Kalpavruksha. Devotees meditate under this tree & attain desired goals. Long time back a Sage named Kashyap had two wives, Kadru and Vinita. Kadru's sons snakes imprisoned Vinita's sons namely Shyen, Sampati and Jatayu. Vinita was sorely disappointed . After few years Vinita got one more son. 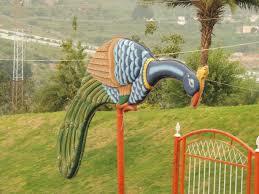 However, when her son was in the form of egg young Ganesh broke that egg and peacock came out of that egg. Newly born peacock had fight with Ganesh. Finally mother Vinita interfered and peacock agreed to be vehicle of Shri Ganesh. However , he laid one condition and said , " Oh! God my name should be pronounced before your name and you be popular by my name." Ganesh agreed and took name Mayuresh for himself. With the help of peacock released Vinita's sons from imprisonment. 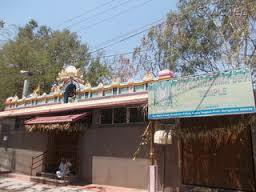 By Road : There are many public and private vehecals available to reach Morgaon Ganesha Temple Pune Maharashtra. By Rail : The Nearest Railway station is Uruli railway station(23Km). By Air: The Nearest Airport is Pune Airport(53Km) . 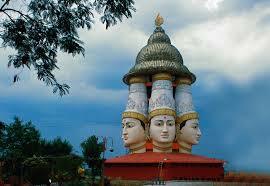 Here is some Information about Shrungagiri Shanmukha Temple in Bangalore Karnataka India. Shrungagiri Shanmukha Temple is Located at RajaRajeshwari Nagar,Bangalore Karnataka.The twmple was built by Sri Bharathi Theertha Mahaswamiji of Sri Sharada Peetam, Sringeri, to choose Dr R Arunachalam as the contractor to build Shrungagiri Sri Shanmukha Temple on the hillock.Thus ordained and blessed, Dr. Arunachalam's extraordinary visionary capacity guided him to design the entire temple structure based on the very name of Lord Shanmukha,which means a ‘Six Faced God'. 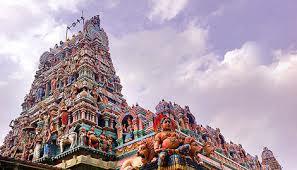 The temple features a Crystal Dome above the six faces of Muruga. This Crystal Dome is embedded with 2500 crystals which receive sun rays and convert them into beautiful rainbow patterns. During night, the crystals are illuminated with LED lights which is a must watch attraction. 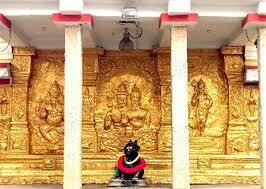 The main sanctum enshrines the idol of Lord Shanmukha with his consorts Valli and Devayanai. Two huge beautiful peacock statues adorn the entrance of the temple. 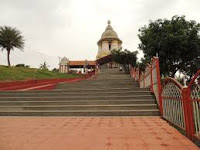 On the foot hill of Shrungagiri there is a temple of Panchamukhi Vinayaka. 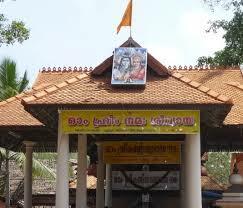 Lord Ganesha enshrined here is Simhavahanaroodha (Lord riding a lion). From there devotees have to climb around 100 steps to reach the temple. The temple prakara features numerous idols of Lord Ganesh in various forms. The Architecture of theTempleThe Shrungagiri Shanmukhatemple is the first of its kind not only in the country, but also in the world. The silent features of the Shrungagiri Shanmukha temple are the Sanctum Sanctorum(Garbha Gudi) is of traditional design, while the exterior of the Shrungagiri Shanmukha temple is of architectural design and theTemple Tower (Gopuram) is totally unique depicting the six faces of Lord Shanmukha.Shrungagiri Shanmukha temple is situated on a hillock which is 240' from the ground level. 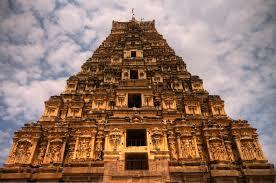 The total height of the temple is 123'of which the six faced Gopuram itself is62' (including 19' up toneck). The Crystal Dome above the Gopuram has a height of 42', with 33'Diameter and 105'Circumference. The six faces of Lord Shanmukha are 6"thick concrete moulded structures. The Temple Tower is ultramodern and is being fitted with thousands of Crystals to receive and disperse anarray of colorful LED & Laser lights. A laser graphicsky show is also being organized and the work is in full swing. 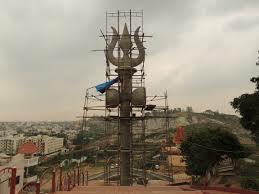 Once completed,the Temple is bound to be a land mark tourist spot of Bangalore. Surya Kirana Abhisheka to the Lord The uniqueness of Shrungagiri Shanmukha temple is the roof of templeis fixed with a Sun Tracking System having 2 vertical and 2 horizontal sun light sensors, the position of these sensors themselves face to the Sun from morning till evening and track maximum Sun rays at any given point of time during the day. The Sun rays thus tracked are directed on to the main deity, from any direction,enabling 'Surya Kirana Abhisheka' to Lord Shanmukha right from early morning. Plans are being finalized to organize a Lazer Sky Show against the background of mist and smoke screens.The fact that the tall structure of the Temple, its Gopuram and the Crystal Dome are all situated on top of a hillock, commands a view from a 10 kms. radius both in the morning and during night. By Road : There are many public and private vehecals available to reach Shrungagiri Shanmukha Templ. By Air: The Nearest Airport is Bangalore International Airport. Here is Some Information about Dakshina Mukha Nandi Teertha Kalyani Kshetra Temple in Bangalore Karnataka India. Dakshina Mukha Nandi Teertha Kalyani Kshetra Temple is located at 17th cross,Malleswaram,Bangalore.The temple was built by about 400 years ago.But 1997 Archeology Department founded this temple.This temple is Dedicated to Nandeshwara.In This temple Nandi(Bull),s teertha and water fall on shiv linga from the mouth of Nandi and this goes directly to kalyani (a small Pond) in front of the Lord.water which flows down Shiv linga is considered to be holy water and is carried home by the devotees and is used as medicine for verious diseases.It is belived that drinking this water or putting on the body will cure of the animents. The temple complex was excavated almost intact over 19 years ago.It was 1997 and mound was being dug by to level the ground.The workers first came accros a small stone structure.when they began degging little deeper ,they came accros a spirit of a temple.The Archeological sarve of india officials were immediately informed and when they dug of the area,they found a very old temple of nandeshwara. The temple was enclosed within a stone cut courtyard ,a Nandi is carved out of black stone with eye printd in gold.from its mouth a clear stream of water flow directly on the shiv linga made out of the same black stone at a lower level.This temple is surrounded by many other important temples like Gangamma Devi Temple, Kadu Malleshwara Temple and Lakshmi Narasimha Temple. By Road : There are many public and private vehecals available to reach Dakshina Mukha Nandi Teertha Kalyani Kshetra Temple bangalore . By Rail : The Nearest railway station is bangalore City Railway station.By Air : The Nearest Airport is Bangalore International Airport. 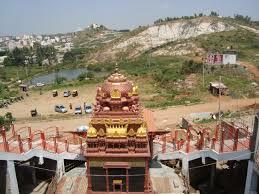 Here is Some Information about Sri Raja Rajeshwari Temple in Bangalore Karnataka India. 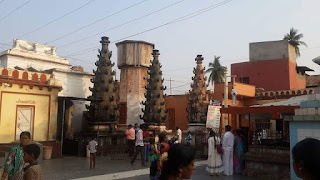 Sri Raja Rajeshwari Temple is located at Kenchenhalli, Raja Rajeshwari Nagar, Bangalore Karnataka India.The temple was built in 1960 and built by Sri Tiruchi Swamigal.The Seer chosen this place to built his ashram because it was believed that Sage Athreya and his wife Anusuya lived at this place. 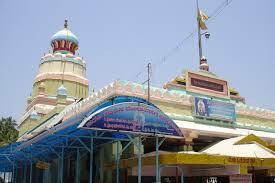 Later, Tiruchi Swamigal constructed a beautiful temple dedicated to Goddess Raja Rajeshwari. 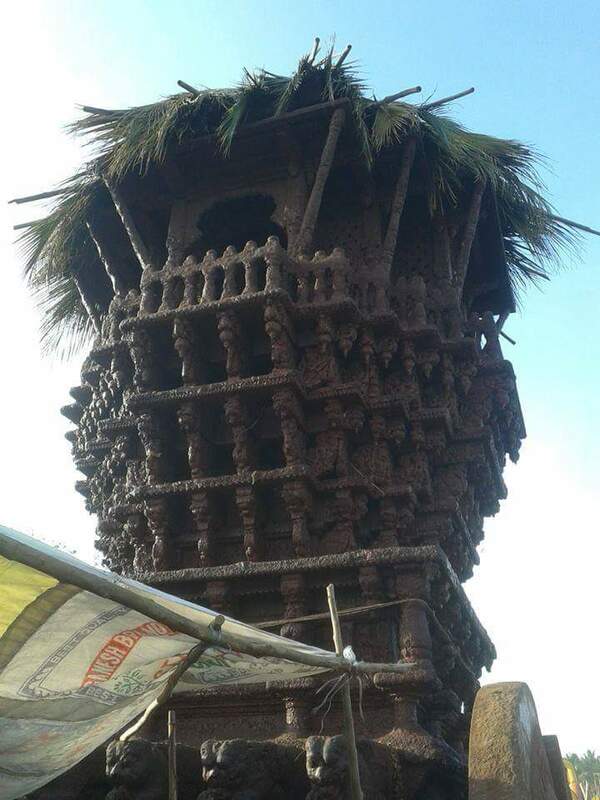 Today, the remote village Kenchanalli has been tuned out as one of the posh localities of Bangalore, RajaRajeshwari Nagar.The temple is dedicated to Goddess Shri Raja Rajeshwari.The Temple is an excellent specimen of Dravidian architecture and is Masterpiece among the recent monuments built in Karnataka. The Temple houses 6ft Divine Stone Image of the Holy Mother Sri Jnanakshi Rajarajeshwari.The Mother is seated on a Throne with her right leg folded and placed across the seat, while her left leg is bent at the knee and stretched below to rest on a Full Bloom Lotus. The temple of Raja Rajeshwari has been constructed in Dravidian style of architecture and built as per the guidelines of Agama Shastra. 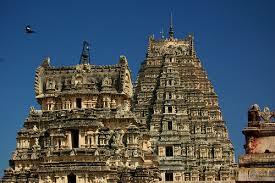 The temple has huge Raja Gopura in the entrance which can be observed from the far distance. 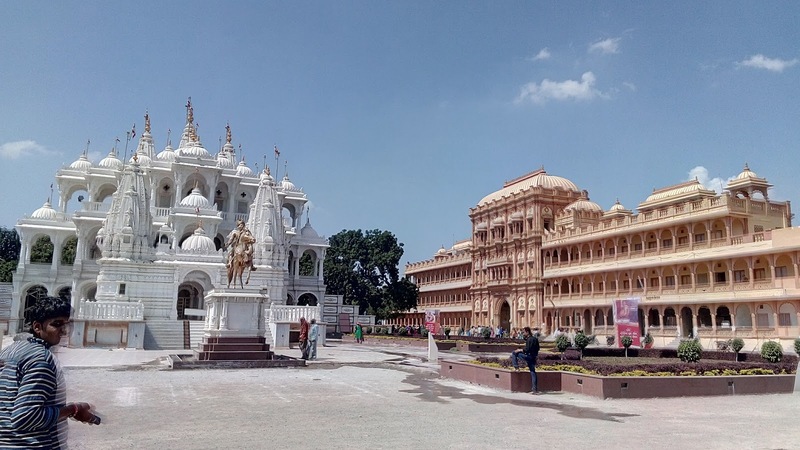 Raja Rajeshwari Temple is complete with an prominent sanctum , a porch , an open pillared hall , a wide circumambulatory path and an inner courtyard. The temple of Raja Rajeshwari is finely carved pillars and beautifully dressed walls . The main attraction of this temple is the six feet attracting stone idol of Goddess Raja Rajeshwari found in the sanctum sanctorum . The Goddess is also worshipped as Gnanakshi. The Goddess Raja Rajeshwari is seated on a throne with her right leg folded and placed across the seat, and her left leg is bent at the knee and stretched below to rest on a lotus in full bloom. Early in the morning on 14.1.1960, the auspicious Sankranthi day, Sri Tiruchi Swamiji was proceeding to Mysore by a car for a Pada Pooja, along with two of his disciples. Just at about six miles South West of Bangalore City, he saw above him in the sky, three garudas (sacred eagles) circling. He saw in them the images of Durga, Lakshmi and Saraswathi who had appeared before him on Mount Kailas. Swamiji got down from the car, and saw a footpath leading to a tiny village Kenchenahally. He proceeded and spotted a tiny cottage amidst a grove of guava trees, the spot the eagles kept on encircling. He decided to have his Ashrama there and arranged to purchase the area. This area happens to be the ancient sacred Tap van of Athri Maharishi and Mahasathi Anasuya. 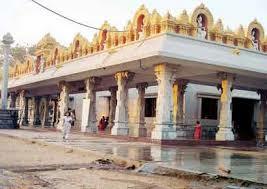 The Foundation stone was laid there by Sri Sivaratnapuri Swamiji between 5-30a.m. and 6.-15a.m. on 3rd April 1960. From then onwards, the growth of the Ashram, has been phenomenally rapid. He has built an Ashram complex consisting of numerous building, established a Pathashala for Vedic and Aagamic studies, free school for academic education, branch Maths in several places, and most important of all, constructed the temple at the present spot which was divinely ordained. On the 27th of March every year at sunrise, the rays of the sun fall directly, on the Devi’s forehead and travel down to her feet. This was not planned, but it happens that way. Pradosha Puja, Saiva festivalsSri Chakra Puja or Homam Navaratri Brahmotsavam. Omkar Hills, supposed to be the highest point in Bangalore is just a 5 min drive from the Temple and offers panoramic views of Bangalore. Sridhar Gudda, Big Banyan Tree, Manchanbele Dam are all easily accessible from here. By Road : There are many public and private vehecals available to reach Sri Raja Rajeshwari Temple Bangalore.BAMS bus station is very close near temple. By Rail : The Nearest Railway station is Bangalore city station 5 Km. 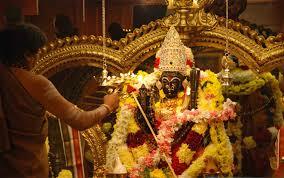 Here is Some Information about Sri Gangamma Devi Temple in Bangalore Karnataka India. 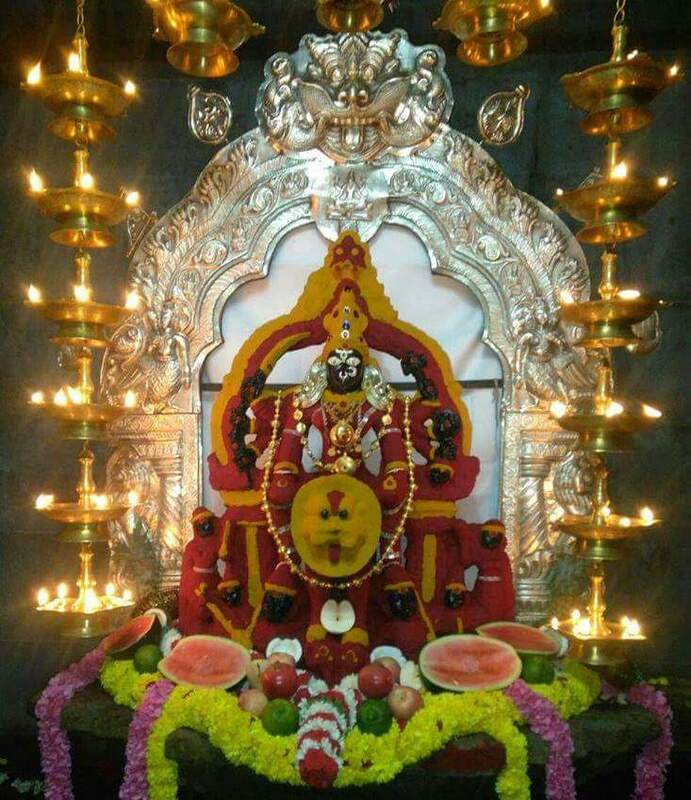 Sri Gangamma Devi Temple is located at 2nd, Temple Street, Malleswaram, Bangalore city in Karnataka.The temple was built in 1928.The temple is dedicated to Sri Thrishula Gangamma Devi. Large number of devotees visit the temple to get the glimpse of God called Darshana, and to get blessed. The temple is having enough parking place and good connectivity with the city center. They have annual celebrations for 4 days , which is celebrated with great pomp. Hoovina Alankara (special flower decoration), Ganapathi homa, Navagraha homa, Mrityunjaya homa, Dhanvantari homa, and Ayush Shanti homam are also performed here. 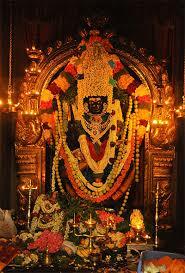 By Road : There are many public and private vehecals available to reach Sri Gangamma Devi Temple Bangalore Karnataka. By Rail : The Nearest Railway station is bangalore city station. 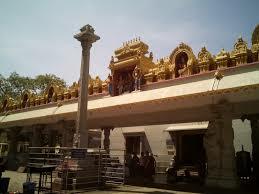 Here is Some Information about Venkateshwara Temple in Bangalore Karnataka India. Built By: Sri Rangapriya Swamigal. 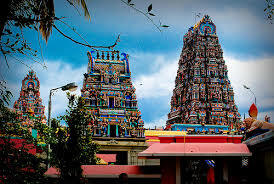 The Venkateshwara Temple(TTD) is located at Vyalikaval, Bangalore.The temple was built in 1966 and built by Sri Rangapriya Swamigal.The temple has been constructed at the cost of Rs 12 crore.This temple is dedicated to Lord Venkateshwara.The Venkateshwara Temple at Vyalikaval houses seven deities - Lord Venkateshwara, Goddess Padmavathi, Andal Ammavaru, Lord Rama, Sita Mata, Lakshmana, Hanuman, Lord Ganesha, Radha and Krishna. The idols have been sculpted by TTD at their Shilpa Kendra and all of them are exact stone replicas of the ones at Tirumala. 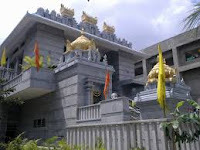 Even the jewellery has been made by the same people.The devotees in Bangalore and Karnataka, can now visit the Temple and conduct the same poojas, sevas and also seek blessings of the Lord, here in Bangalore.The temple was constructed as per the Agama Shastra, under the guidance of TTD temple architects and statapathis. The rituals will be performed in accordance with Vaikhanasa Agama Shastra.The temple was constructed as per the Agama Shastra, under the guidance of TTD temple architects and statapathis. The rituals will be performed in accordance with Vaikhanasa Agama Shastra. 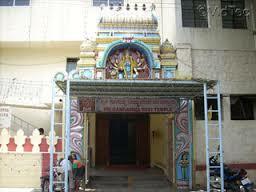 By Road : There are many public and private vehecals available to reach Venkateshwara Temple Bangalore. 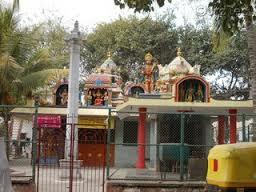 Here is Some Information about Banashankari Temple in bangalore Karnataka India. Banashankari Amma Temple is one of the very famous temple in Bangalore, not because of the temple looks but because of the beliefs, surrounded by the temple. Banashankari Temple in Southern Bangalore, located on Kanakapura Road.Devotees have strong belief in the goddess also it is believed that she fulfills desires for prayers done in true sincere. The belief in goddess is so strong that a huge number of devotees visit this temple every day.Banashankari Amma Temple was founded in 1915 by Somanna Shetty, a devotee of Banashankari Amma. Though it is opened on all days, special pujas with deeparaadhana are offered on Tuesdays, Fridays and Sundays which throng thousands of devotees. The temple witnesses three major festivals like Banashankari Utsav on September 13, Dasara in October and the temple anniversary in Pushya Maasa (December/ January). The annual fair is held in the final week of December or the very first week of January, to mark the anniversary of this temple. 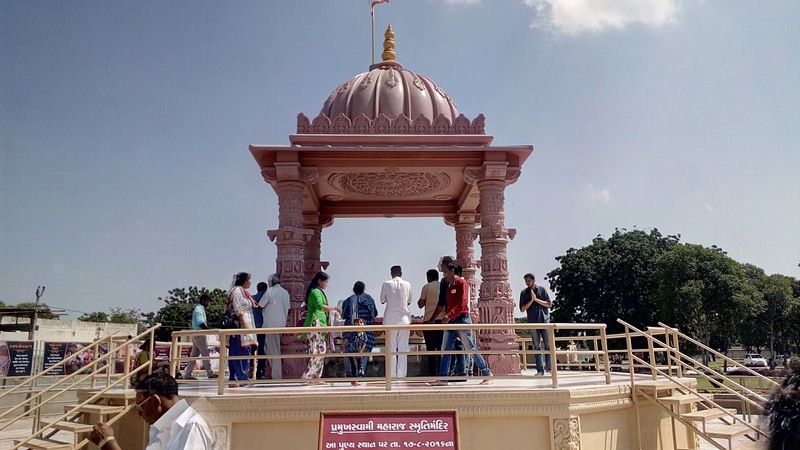 The annual fair witnessed by huge number of devotees of Bangalore city as well as different parts of Karnataka.The Dussehra festival celebration is also held at Banashankari Temple in great devotion in October. 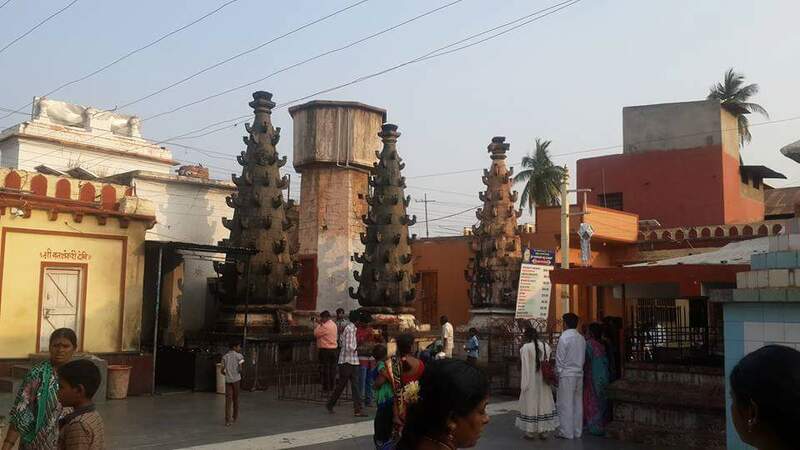 One of the unique features of this temple is that the deity is worshipped in Rahukala, considered to be an inauspicious time according to Hindus. 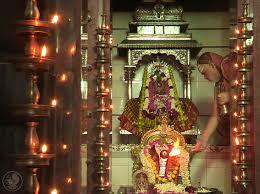 It is believed that worshipping Banashankari Amma in Rahukala rids one of all the hardships and paucities in life. There is a large rush of devotees in the temple, especially on Tuesdays, Fridays and Sundays, considered to quite auspicious for doing puja. The prayers are offered by lighting multiple oil lamps in half cut lemon peels, whose pulp has been removed. 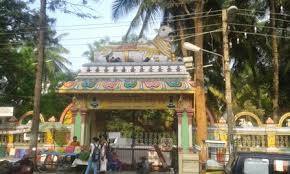 By Road : There are many public and private vehecals available to reach Banashankari Amma Temple in Bangalore. By Air : The Nearest airport is bangalore Airport. 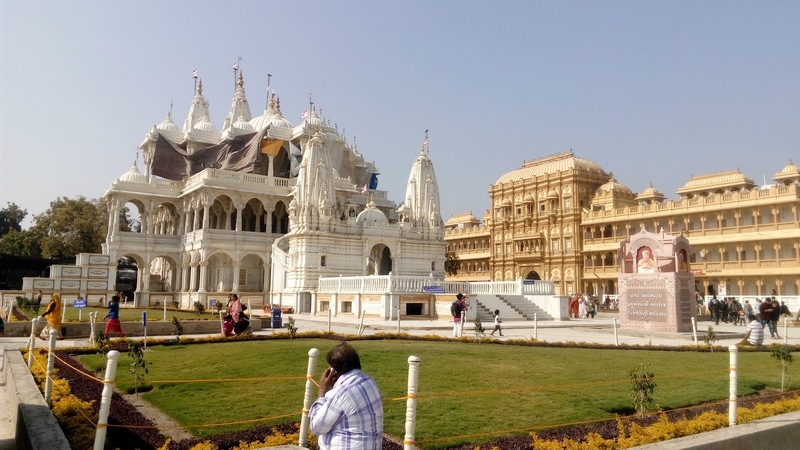 Here is Some Information about BAPS Swaminarayan Temple in Sarangpur Gujarat India. 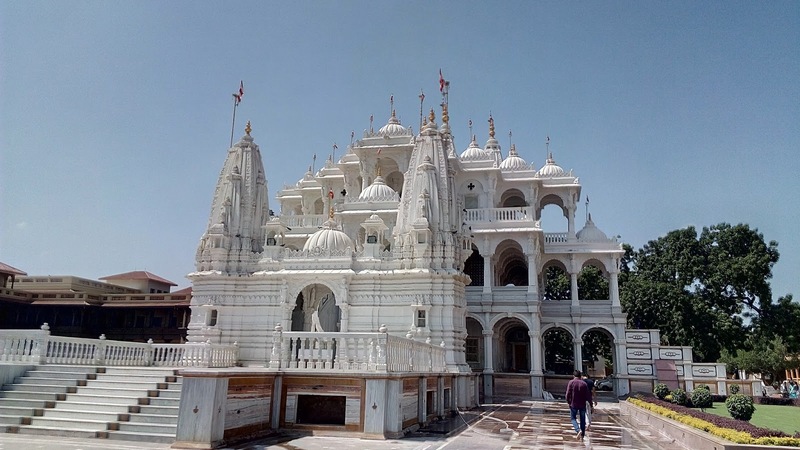 The Bochasanvasi Aksharpurshottam Swaminarayan Temple Sarangpur is Located in Botad district nera Barvala Sarangpur Dham Behind Lord Kastbhanjan Hanumanji Temple .The temple was built in 100 years ago.and the temple was built by Shri Shastriji Maharaj.There arethe temple Architecture of white marbel stone.The temple's main enterance is very beautiful and attrective.In this temple always running Bhijan shala.The temple has a big Gau shala .Every Purnima(Ful Moon day )and Ekadashi many people come this temple doing a darshan . 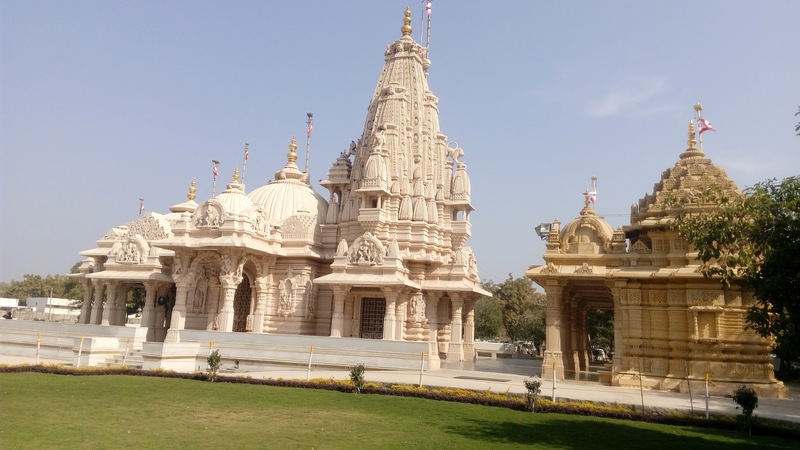 There are many festival celebration in this temple Like a Janmashtmi,Diwali, Holi ,Ekadashi,Chaturmas and many more.now a days Param Pujya Shri Pramukhswami Mahaj's 95th Janma Jayanti mahotsav larg celebration in this temple.Here is Some Video available Shri Pramukh swami maharaj Janma jayanti Mahotsav in Sarangpur. 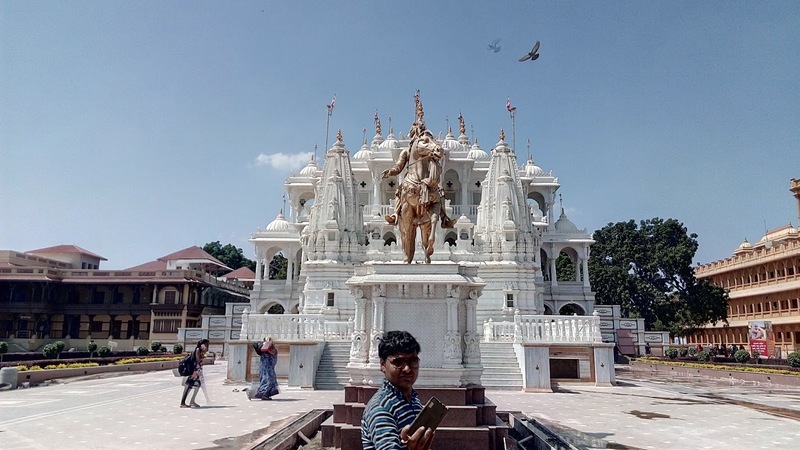 By Road : There are many Public and private vehecals available to reach BAPS Swaminarayan Temple in Sarangpur. 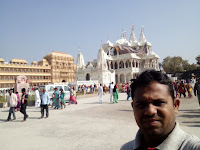 By Air : The Nearest Airport Bhavnagar Airport (80Km) and Ahmedabad International Airport. (150 Km). 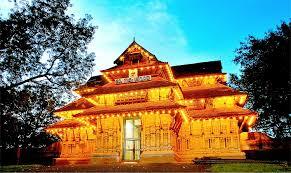 Here is Some Information about Sri Shrikanteswarar Temple in Thiruvananthapuram Kerala India. Temple Timing: 4 Am to 12 Pm, 5 Pm to 8.30 Pm. Sreekanteswaram temple is one of the most popular Shiva temples in Kerala ,situated at Sreekanteswaram, around 1 km from East Fort, in Thiruvananthapuram. There are two seperate Sreekovils for Lord Shiva and Lord Vishnu.This is a Maha Kshetram with with golden flag staff.Lord Shiva is known by the names Sreekanteswaran (the lord of Sreekanteswaram), Mahadeva, Kailasanatha, and Gowri Shankara. 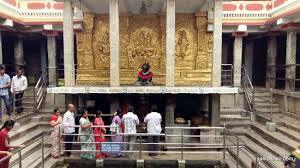 The temple also has separate shrines of Sree Mahaganapathy (Ganesha), Sree Dharmasastha (Swamy Ayyappa), Sree Nagaraja, Sree Murugan (Lord Subramanya), Sree Krishna and Sree Anjaneya (Lord Hanuman). The holy pond is seen on the eastern side of the temple. 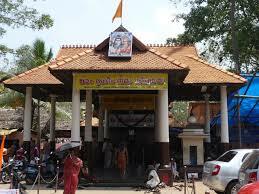 Sreekanteswaram Temple is situated to the south-west of the Pazhaya Sreekanteswaram Temple (Old Sreekanteswaram Temple) in Trivandrum. 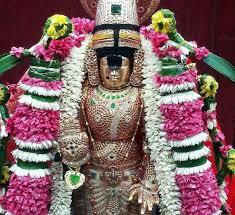 According to the popular legend, there was an old sweeper-maid who worked in Pazhaya Sreekanteswaram Temple. She used to take rest after the work under the shade of a tree, keeping the broom and the pot called Kalayakkudam beside her. One day when she tried to lift the pot, it did not move and she tried to break the pot using a stone. All of a sudden, she found that the pot was bleeding. It is said that Lord Shiva gave darshan to the old lady in the form of Swayambhu Shiva Lingam. 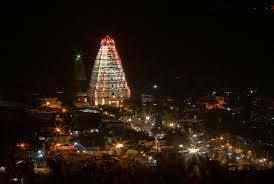 A temple was built on the spot and later it is called as Sreekanteswaram Temple. 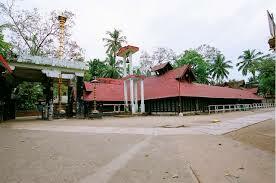 By Road : There are many public and private vehecals available to reach Sreekanteswaram Temple Thiruvananthapuram Kerala. Here is Some Information about Virupaksha Temple in Hampi Karnataka India. Location: on the south bank of the river Tungabadra ,Hampi Town Karnataka. 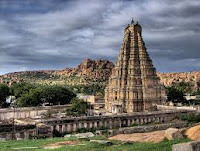 The Virupaksha Temple is Located on the south bank of the river Tungabadra ,Hampi Town Karnataka.This area in general has been an important pilgrimage centre for the worshipers of lord Shiva. Virupaksha temple is equally sort after by the tourists and pilgrims.The Virupaksha Temple and the Vittala Temple complex at Hampi, the erstwhile seat of the Vijayanagar empire, and the monuments at Pattadkal in Bagalkot district has been included in the list of 25 ‘adarsha smaraks’ in the country.The Union government decided to award the tag to monuments which record the highest number of tourists. 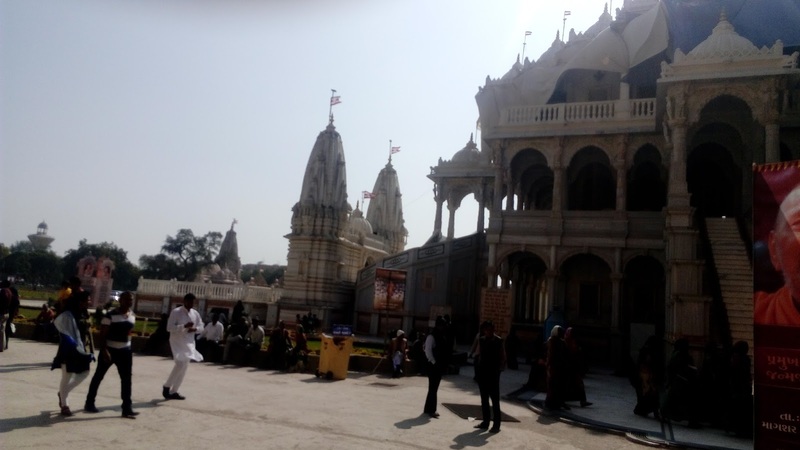 They would be given special attention to boost international tourism under the Adarsh Smarak Yojana.The Virupaksha temple is consecrated to Shiva as the consort of Pampa. Local mythology identifies this local goddess with the Tungabhadra River; indeed Hampi is named in her honour. The Virupaksha-Pampa sanctuary existed well before the foundation of the Vijayanagara capital. Tower of the main entrance don't just seem to be reaching up to the heavens above, they are sky-high, measuring 50 meters in height. 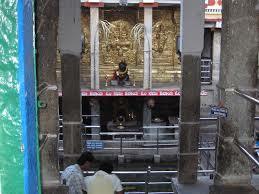 The temple's complex is replete with small shrines, gateways, courtyards, three ante chambers, pillared pavilion, etc. Its central chamber was built under the patronage of King Krishnadevaraya and is perhaps the temple's most ornate structure. At varied points in the temple's complex you will find inscriptions dating to its origins, 9th-10th century, as well as its glorious years, the 14th century. 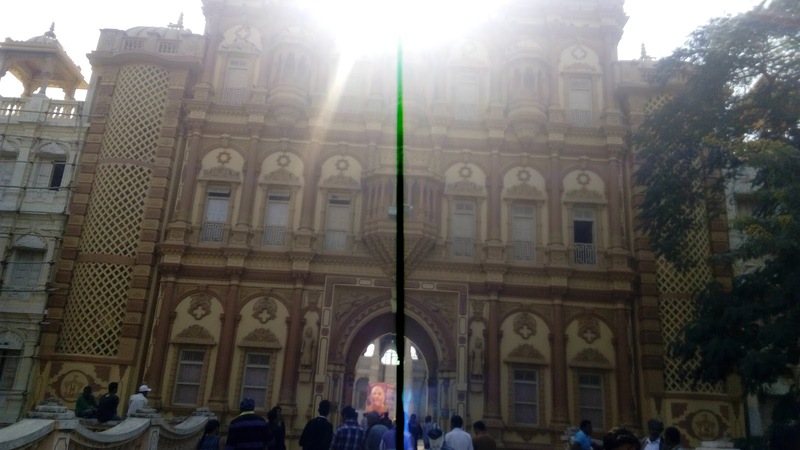 A fascinating aspect of the temple is the inverted pinhole image of its tower cast on one of its inner walls. Don't forget to get the blessings of Lakshmi, the resident temple elephant, on your visit to the Virupaksha Temple. On most days, the temple is home to hundreds of chattering monkeys. However, in December and February, when the temple festivals are celebrated, it comes alive with a different kind of chatter and resounds with festivities. This temple has ancient inscriptions which date back to 9th and 10th centuries. Originally it was a small shrine, and the sanctuary of Virupaksha–Pampa existed prior to the commencement of the Vijayanagara Empire. However, the Vijayanagara rulers were responsible for building this small shrine into a large temple complex.Although most of the temple buildings were constructed during the Vijayanagara rule, some few were also erected during the late Hoysala and Chalukya empires. Major renovations and additions were carried out in the 19th century and gopuras were established and ceilings painted during this time. The temple is built on a high plinth of five fully evolved mouldings. The outer faces of the walls of the sanctum are divided into a central projection, two intermediate projections and two corner projections with four recesses in between. Likewise, the mandapa walls on either side of the northern, eastern and southern proches are divided into two projections and two recesses. All these projections of the sanctum walls carry niches housing images of Saiva and Vaishnava deities like Bhairava, Narasimha, Hari-Hara, Lakulisa etc., while there are perforated windows of various design in the rest of the recesses. The parapet consists of architectural elements called kutas (square), panjaras (miniature apsidal shrines) and salas (oblong) corresponding to the projections below and the linking courses (harantaras) above the recesses. The superstructure over the sanctum is a Dravida-vimana in three storeys with a sukasana projection over the antarala. It is square in plan and repeats in its elevation many elements of the parapet and walls beneath. It has a beautifully shaped square roof (shikhara) with a round finial kalasa above. The whole of the interior of this temple is embellished with elegant carvings and aesthetically modeled sculptures. Episodes from the Ramayana (e.g. abduction of Sita) Mahabharata (e.g. Bhishma lying in a bed of arrows), Bhagavata (e.g. Krishna lifting the Govardhan mountain) and Kiratarjuniya (e.g. Arjuna receiving the Pasupatastra from Siva) are depicted on the pillars of the sabha- mandapa and the pilasters here have the sculptures of amorous couples and Rati and Manmatha. Flora, fauna and geometrical patterns adorn various parts of the temple. Doorjambs (dwara-shakhas) with their delicate carvings, pillars and pilasters with various types of capitals and carvings on their faces, lintels relieved with animals, birds and architectural motifs, ceilings depicting divine beings and the majestically standing dwarapalas all unfold a ricj world of plastic art before the connoisseurs and attest to the heights reached by the Chalukyan sculptures. By Road : There are many public and private vehecals available to reach Virupaksha Temple in Hampi . By Rail : The Nearest railway station is Hampi station. By Air : The Nearest Airport is Bangalore Arport.